“The time is coming," declares the Lord, when I will make a new covenant with the house of Israel and with the house of Judah. It will not be like the covenant I made with their forefathers when I took them by the hand to lead them out of Egypt, because they broke my covenant, though I was a husband to them,” declares the Lord. 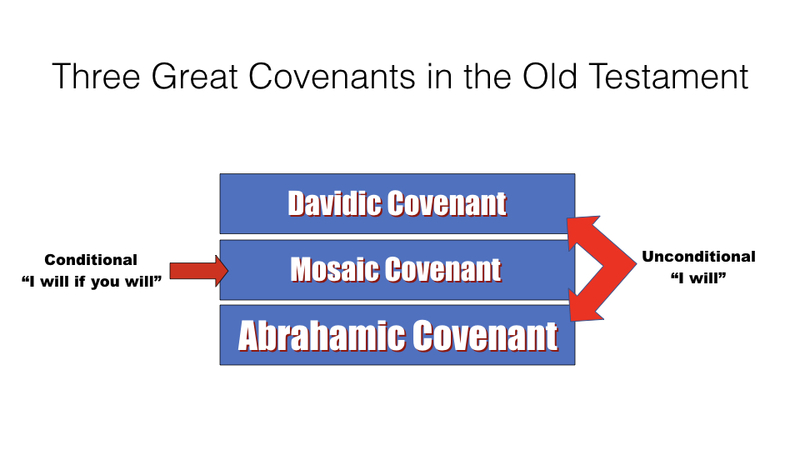 This is the covenant I will make with the house of Israel after that time," declares the Lord. "I will put my law in their minds and write it on their hearts. I will be their God, and they will be my people. No longer will a man teach his neighbor, or a man his brother, saying, 'Know the Lord,' because they will all know me, from the least of them to the greatest," declares the Lord. "For I will forgive their wickedness and will remember their sins no more." “The Lord declares to you that the Lord himself will establish a house for you: When your days are over and you rest with your fathers, I will raise up your offspring to succeed you, who will come from your own body, and I will establish his kingdom. He is the one who will build a house for my Name, and I will establish the throne of his kingdom forever… Your house and your kingdom will endure forever before me; your throne will be established forever." and the forgiveness of both the offense and penalty of our sins!